Minny, Aibileen's best friend, is short, fat, and perhaps the sassiest woman in Mississippi. She can cook like nobody's business, but she can't mind her tongue, so she's lost yet another job. Minny finally finds a position working for someone too new to town to know her reputation. But her new boss has secrets of her own. In pitch-perfect voices, Kathryn Stockett creates three extraordinary women whose determination to start a movement of their own forever changes a town, and the way women--mothers, daughters, caregivers, friends--view one another. 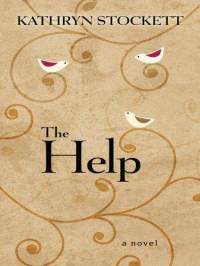 A deeply moving novel filled with poignancy, humor, and hope, The Help is a timeless and universal story about the lines we abide by, and the ones we don't. "Three ordinary women are about to take one extraordinary step"
There were three things about the writing that we really loved. 1. Foreshadowing - was totally brilliant. You may not catch some of them the first time you read it but if you read it again you will catch a lot more. One of my favorites is the foreshadowing of Minnie giving Hilly a piece of her. No one would have ever thought she would do something as disgusting as what she did. 2. Character Development - All of her characters were developed so well you thought that you knew them for years. Kathryn Stockett did an amazing job letting us get to know each one of the characters. 3. Putting the reader in the book - Now, what I mean by this is when she would write about what a room looked like or what a person looked like it was like you were there seeing it for yourself and what was so brilliant about this is she could do it in one sentence. A quote from Bethany at book club, about Kathryn's writing, "...her writing is like life, because you never know the whole story at once. You get tid bits at a time." This era was a hard time for women in general but for the black women of Mississippi it was the worst. I loved seeing all the women in the book (minus Hilly) break out of the mold that society had put them in. Having the courage to make a change in their lives and in doing so encouraging other women to do the same. We may forget sometimes that not too long ago women were treated so differently. Reading it in a book where the author puts you there makes it easier to comprehend the reality of it all. Sometimes we can feel a little sheltered where we live and reading a book like this makes me see that things aren't always so good for everybody else. I hope it will make us all take a second and reevaluate how we treat other people and see that everyone deserves to be treated as human beings. From what I gathered everyone gave it anywhere from a 4 to 5 stars. Which means this was an awesome book. We all thought she is a brilliant writer and her first novel is proof of that. I can't wait to read more from her. It is hard for me to believe that Kathryn Stockett was turned down by 40 publishing companies before she found one that would publish her book. I think that all of those other publishing companies are crying themselves to sleep having missed out on bringing this book to the millions of fans it has. I can't wait to see the movie and I know that if Kathryn Stockett is involved she will make sure this movie is made right. When it comes out we need to make that a girl's night out. This is perfect Kellie!! You did a great job of summing up all the different points of the book and our overall review. I love that you even got a "quote" from Bethany...awesome! 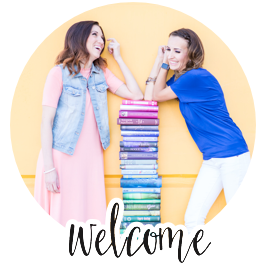 Thanks for being our first Book Blogger, your amazing!